Keith has been in practice as a professional counselor since 1990. He has Tennessee licenses as a Professional Counselor (Mental Health Service Provider) and as a Marriage and Family Therapist. He has two masters degrees from Harding University and his undergraduate degree is from Lipscomb University. Keith specializes in marital therapy, pre-marital counseling, family therapy, parent education and individual therapy. Clinical interests include affair recovery, couples conflict resolution, spiritual issues, parent-child issues, depression and stress management. Keith incorporates his sense of humor into his counseling style. 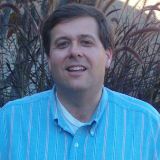 He is a National Certified Counselor and a clinical fellow of the American Association for Marriage and Family Therapy. Keith is also a Approved Supervisor for candidates for the LPC-MHSP. Keith teaches Family Communication periodically for the University of Memphis. Keith spent almost 18 years as counseling and family life minister for the Sycamore View Church of Christ in Memphis. He also was an adjunct instructor of family life ministry at Harding School of Theology. He has taught Marriage and the Family three times in Zambia, Africa. Keith has also worked with family issues in Honduras and Costa Rica. Keith began his professional counseling career at Northeast Community Mental Health Center in Memphis. Keith has been married for 33 years and is the father of three children aged 32, 65 and 21 and the grandfather to a two year old. Insurance Plans Accepted: Cigna, Aetna, Blue Cross/Blue Shield, Magellan, Coventry, Value Options, Humana, Optum/United Healthcare, UMR. Employee Assistance Plans Accepted: Magellan, Mines and Associates, Corp-Care, All One Health EAP, Beacon Health (Value Options), Ceridian Life-Works. Costs: Full fee if not using insurance or one of our church contracts is $110 for the first session and $90 for follow-up sessions. Scheduling: Call our office at 901-382-3888 or email Keith@BartlettChristianCounseling.com to schedule an appointment or if you have been issued a user name and password you may follow the link below to schedule an appointment with Keith.